Climate change skeptics have to appreciate that there is no better time to talk about the topic and about global warming than during a period of below average temperatures. I don’t expect anyone to believe anything I say unless I can empirically demonstrate my point so I appreciate those who bring solid empirical evidence to a debate while leaving ideology and polemics out. In the competition for our time and attention the issue of climate change competes with a lot issues that seem to more directly and immediately impact us. 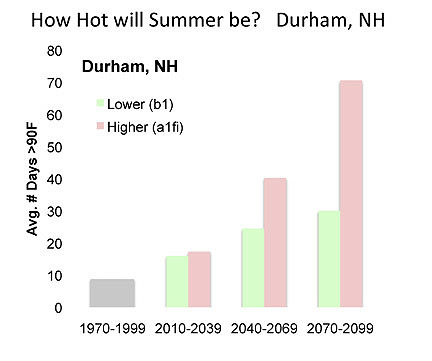 At least that was the case for me until I heard a presentation on the impacts of climate change on the Piscataqua River Basin/Great Bay region of NH and Maine. As a guest of a local Rotary Club I heard a presentation by Prof. Cameron Wake of the Institute for Earth, Oceans, and Space at the University of NH. You can get a copy of the report here. It is one thing to generically consider an issue like climate change, it is another to consider it in the context of evidence of how it directly impacts those things and those people whom you care deeply about. I love the Piscataqua and Great Bay and Little Bay region. I walk with my best friend almost daily there – I took these pictures yesterday. So when I hear solid empirical evidence of threats to it I listen. It makes me wish I listened sooner and it also makes me wish similar reports could be written for every region where someone cares about the natural amenities around them that will be affected by climate change. I regularly work for companies that burn fossil fuels to produce electricity and none of them have been robber-barons unconcerned about the potential impact of carbon on climate change. 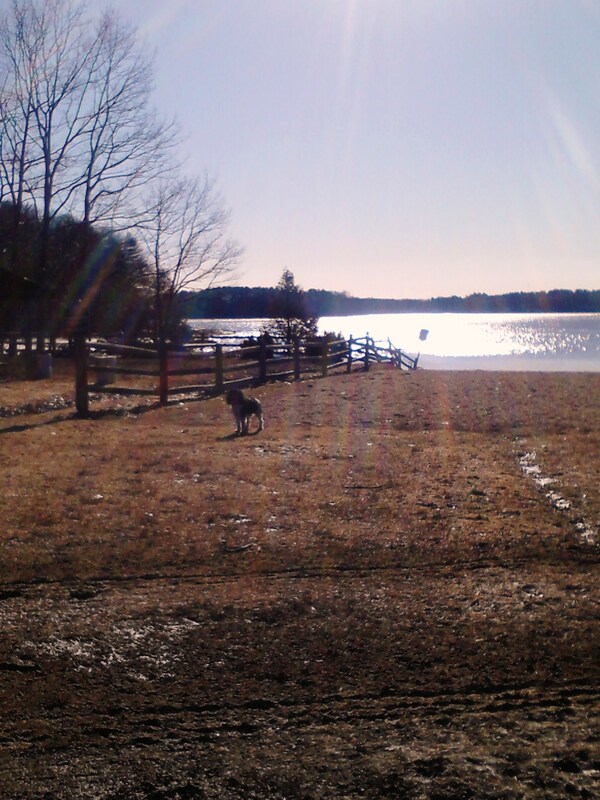 They too all have places like the Piscataqua River Basin that they love. I hate anecdotal evidence but it is hard for me not to consider the reduction in cold temperatures and snow during winter months (despite tomorrow’s and this winter’s events) from when I was a youth growing-up along the Canadian border (and successfully defending it against the insufferably polite hordes of the great white north). 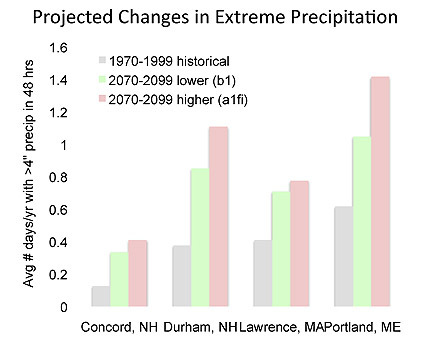 The number of extreme rain events and the three or four 100 year floods (just in the past 15 years) since I arrived in NH (the 1980’s)was not, for me at least, definitive evidence of climate change until I saw the data in the larger research context presented by the Piscataqua River Basin report. The more dramatic impacts of climate change won’t occur until after I am gone but the forecasts of the change in my region contained in the report and presentation by Professor Wake make clear to me the importance of action now. If you get a chance, look at the report or better yet, invite Prof. Wake to make a presentation. The data and information is great but his ability to present it is even better. 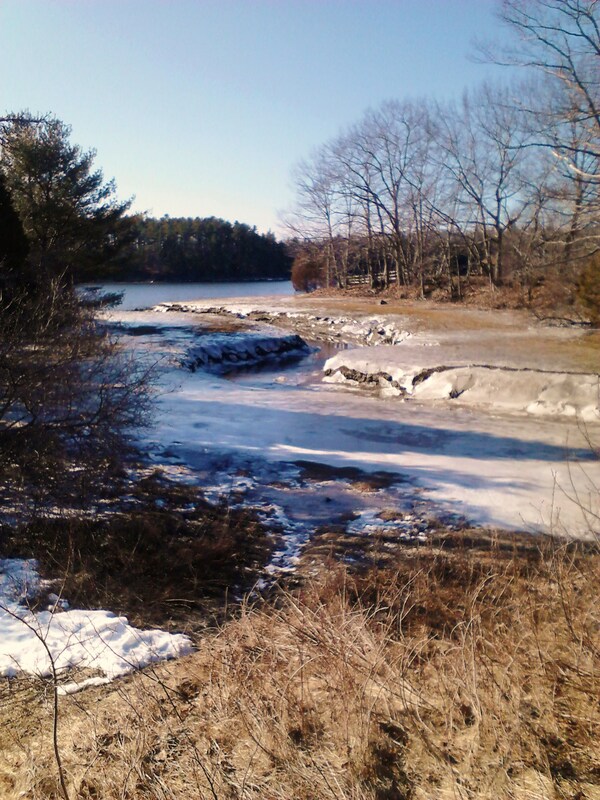 This entry was posted on March 18, 2013 at 11:23 am and is filed under climate change, environment, NH. You can subscribe via RSS 2.0 feed to this post's comments.